Things are changing at DEMO, the startup and product-launch conference owned by IDG that competes with our own TechCrunch50 conference. 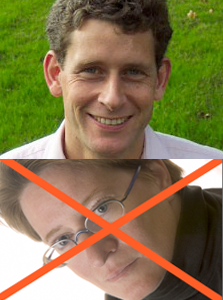 After 13 years, conference organizer Chris Shipley will make way for Matt Marshall, editor of VentureBeat. The two will co-produce DEMO as Marshall gets up to speed, then he will take over. Marshall says he will focus on “injecting deeper themes” into DEMO. DEMO could certainly use the new blood. And VentureBeat could use the extra cash that the deal will bring it. (VentureBeat will share in the profits of the conference). But Marshall is going to have to do a lot more than appeal to the chin-strokers in the audience. He is going to have to reinvigorate a dying brand. It is not so much about the themes of the conference as it is who goes to them. This is an organization that has been around since 1991 and has been through ups and downs, and companies have continued to come. These are companies launching real products for a market and the model seems to work. They keep coming back. So why change it, right? It is fine by us if DEMO sticks to its model of extorting startups. The one thing Marshall does have going in his favor is his blog. The readers of VentureBeat overlap with the type of people IDG wants to attract to DEMO, and VentureBeat keeps them engaged in conversation all year long. If you want to build a community, blogs are the way to do it. The only time anyone bothers to go to the DEMO Website is during the conferences themselves to watch the free videos that they didn’t want to pay to see in person. I should note that while VentureBeat competes with TechCrunch every day on the blogging front, it is also a co-host of the Crunchies Awards, another event we put on. So this is just another area where we will have to crush them. It’s called co-opetition.